Deobrat Mishra is the director of the Academy of Indian Classical Music in Varanasi, the school I attended. He is a sitar virtuoso and often plays alongside his father, Pandit Shivnath Mishra, who is one of the top sitar players in India. This concert was given at the academy, and Deobratji was playing next to his father, along with Bitu, their nephew who is an amazing tabla player. 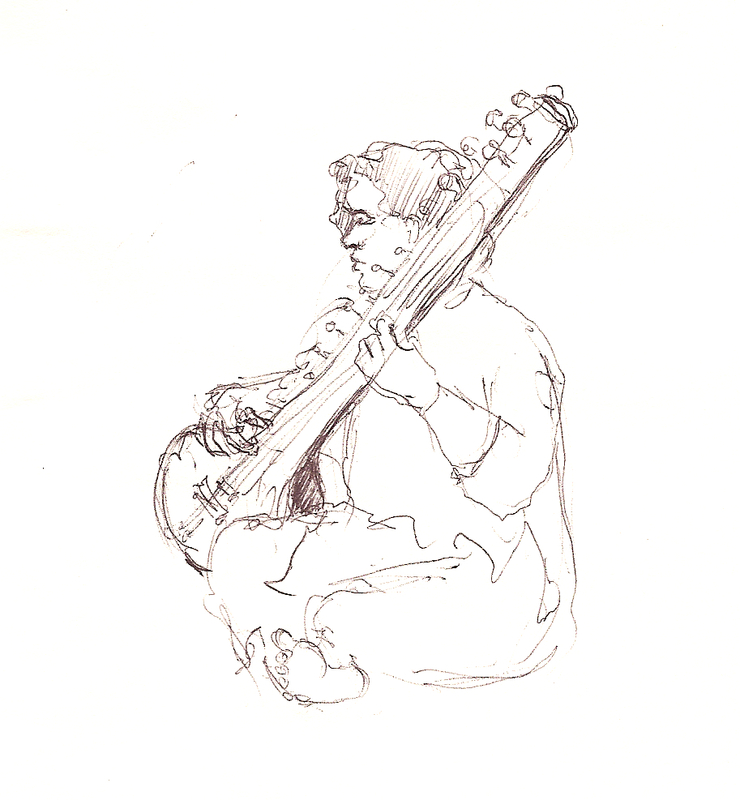 I tried to draw both Guruji (Shivnath) and Deobratji but Guruji’s head was hidden behind his sitar, so it was not a good composition. In any case, the concert was entrancing, and we were able to witness the musical chemistry between the father and son duo.